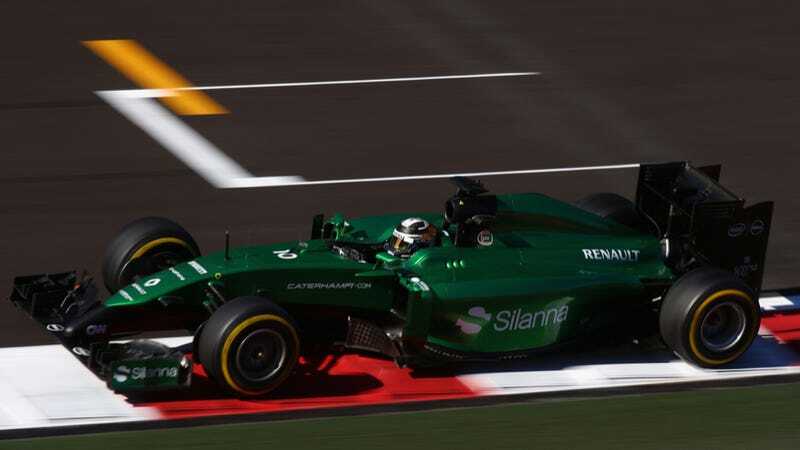 The Caterham F1 team has had a very tough year, so tough that they just missed the USGP in Austin due to the team entering administration. However, the administrators believe that Caterham is worth more if they're racing, so to get them back on track they want fans to pay $3.7 million so they can make the finale in Abu Dhabi. Caterham has set the goal of $3.7 million to get them back on track, but they also have a deadline of November 14th to raise the money. Seems optimistic, right? What they have going for them is the growing animosity towards F1 with the smaller teams dropping out or struggling. It's also a unique strategy that'll get them press. Like this. See? I'm writing about it right now. That's exactly what they want. So far, the site that has been set up for the crowdfunding says that they have raised $168,000, which is pretty great for it only launching today. It's a start. We'll see what happens over the course of the next week. Good luck Caterham. Hopefully we'll see you in Abu Dhabi.